The snow is melting, the flowers are starting to bloom, and retailers like Macy's and JCPenney are still trying to convince customers to buy holiday sweaters. On Thursday Kavita Kumar, a retail reporter at the Star Tribune, noted that Macy's was still trying to unload its holiday sweaters, discounting them to 90% off. Kumar's photo was snapped at Minneapolis's Nicollet Mall, four days before the store's closure, meaning the markdown is particularly drastic. However, Macy's issues with selling holiday apparel seems to be a problem that expands beyond a single location. 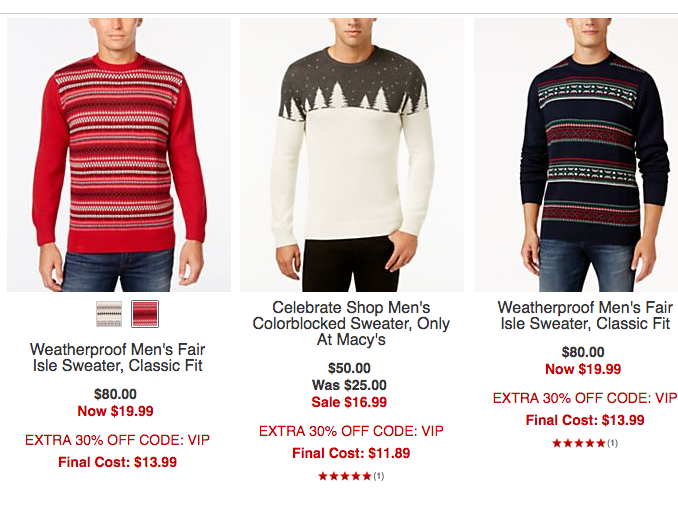 Online, Macy's is selling $80 holiday sweaters for $19.99. 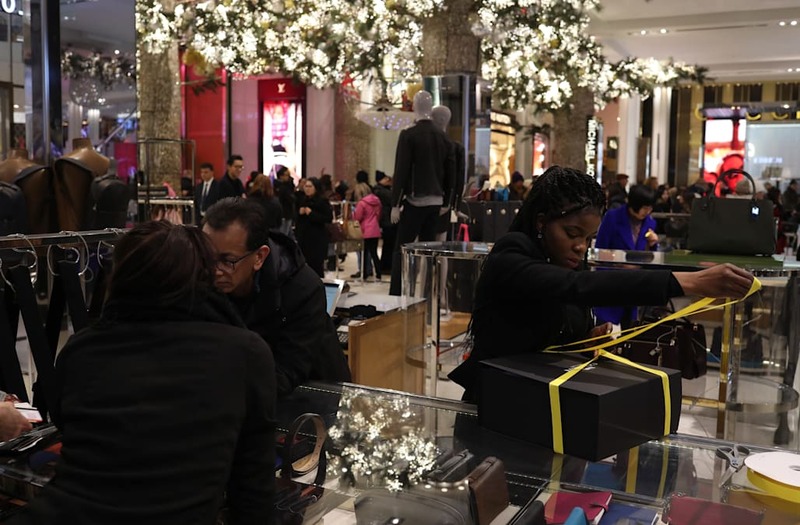 The problem seems to be that shoppers simply didn't buy the retailer's holiday apparel in the numbers that Macy's had hoped. Macy's same-store sales, or sales at stores open at least a year, fell 2.7% in the last quarter of 2016. "Despite the torrid time it had in the final quarter of 2015, Macy's has not managed to translate that weakness into a period of holiday cheer this time around," Neil Saunders, GlobalData Retail's managing director, said in a comment in February. "Sales continue to slide at a fairly hefty pace, with particular weaknesses in apparel." Macy's isn't the only retailer struggling to sell its holiday garb. 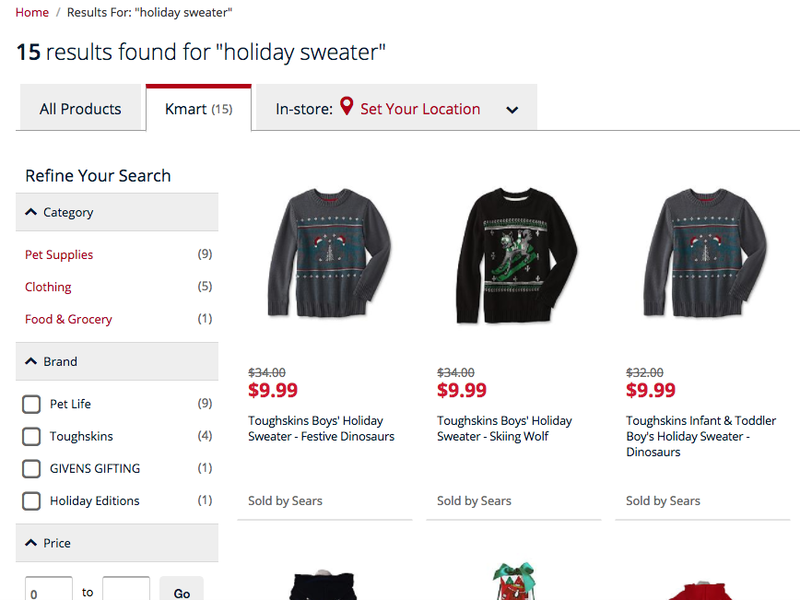 Kmart is still selling Sears kids' holiday sweaters for $9.99, from $34. JCPenney's sweaters are more than half off. JCPenney The fact that winter sweaters are heavily discounted in March is understandable. Less understandable is that there are enough sweaters left to be sold that such discounts are necessary. 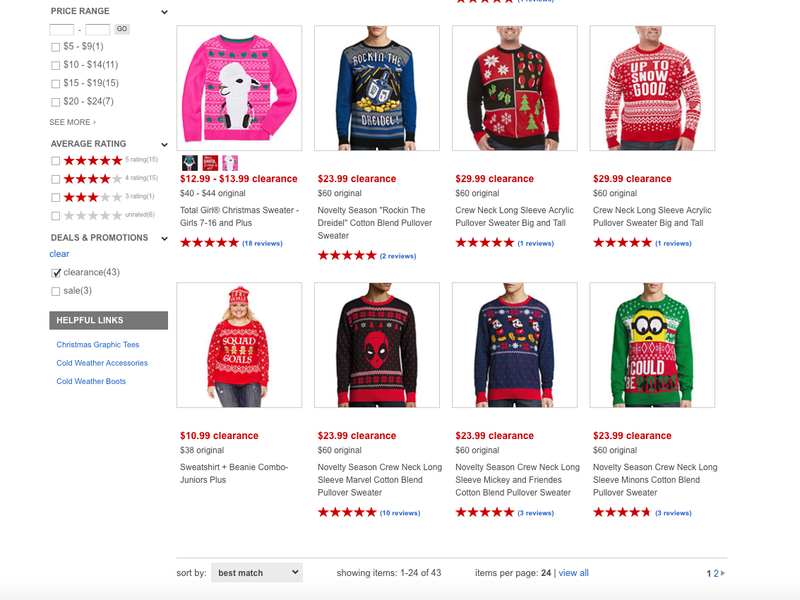 For comparison, successful discount retailer TJ Maxx has just two holiday sweaters left on sale online. Between them, Sears, JCPenney, and Macy's are closing almost 400 stores in the first half of 2017, in part to slow losses after disappointing holiday quarters.